Ive got a little money for a new addition to my collection, and I’m wondering which direction I should go in. Which has better long term prospects, ie, value, playability, etc. a near mint Kiss LE or very nice Fathom? Would love to hear some opinions before plopping down the chunk of change. Right now I’m leaning Fathom. Hard to find a real nice Fathom and when you do you better pluck that pearl out of the ocean as fast as you can! Fathom by miles. Does Kiss LE have any long term prospects? Or short term? Or anyone that cares that much? "Nearly Mint Kiss" will be available for along time coming; loooong time. Both are kind of overpriced for what you get. Fathom all the way. Tough to find a nice one and when you do it usually disappears. Kiss LE there are a ton out there and the game doesn’t do it for me. If you want to get it to "collect" I'd choose Fathom. It's highly rated and I'd possibly like to get one. I had a friend that said it gets old in a home collection once you figure out how to exploit it. FWIW, I've had a Kiss LE for 6 months and it hasn't gotten old yet. Still the 'go to' game. I like KISS a lot but don't really see a need for the LE over the PRO. I was never a Fathom fan, but I'm not a fan of most early 80's pins. I'm not a fan of most early 80's pins. Gotta wonder what you were doin' back then when the rest of us were playing whatever games were available. Probably dropping quarters in Pac Man I'd guess. .
Fathom is a super cool game, but very top end price wise. In answer to your question, I would suggest buying two pins for the same price as your options. I’d go KISS Pro and say Paragon. I'll one better that Dave! Buy a Getaway and Stars and have money leftover for beer and dinner. I'll one better thatDave! Buy a Getaway and Stars and have money leftover for beer and dinner. Hey why not buy Stars & High Speed & have even more leftover monies! Lotsa beer and lotsa dinners! Both nice games, but considering the price you can do better in the fun/$$ ratio. For that money I would get a NGG and an EBD or something along those lines. I'd rather have Fathom than Kiss LE, but not if I have to pay the Kiss LE price for the Fathom. 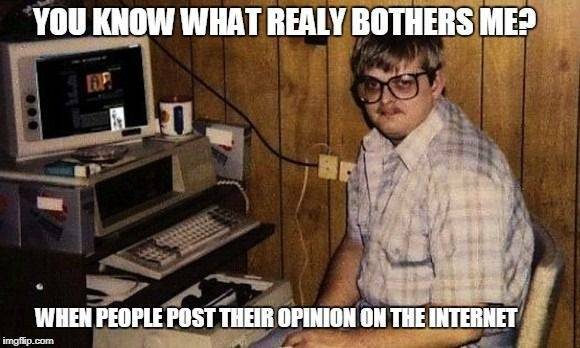 One thing that kind of bothers me about every A vs. B thread is that a lot of people respond C, D, E, or Z. Given that the OP has a 16 game collection with some pretty high end games (including BBB) I doubt if the money is an issue. Any modern Stern vs. an early SS pin is going to be an apples to oranges comparison. I have a Kiss prem (which I really enjoy) but would love to have a Fathom. I would agree that a nice Fathom is hard to find so if he has a lead on a good deal the OP might be best to get it. His collection is mostly DMD games so a Fathom might be a good way to bring some variety into the collection. Wow, interesting thread . The choice of the pinball machine are so different . I have Fathom on my wish list because it is so collectable and beautiful . I however have a collectors mentality as well and that is one reason it is on my wish list . 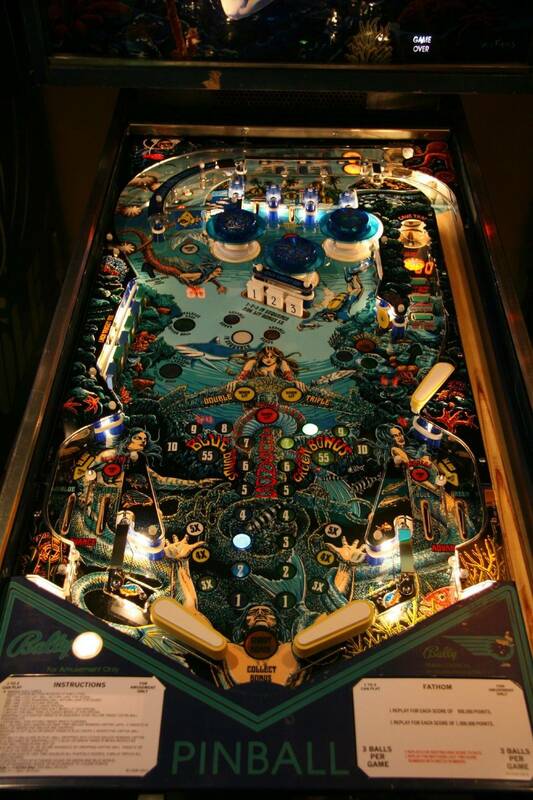 The reality is I am not a fan of that era of pinball machine game play wise .However I have played Fathom and it was the most fun pinball from that era I have ever played IMO. It is more of a passion of the collectability of Fathom that interest me . I also Just played a KISS pro . And I loved the gameplay and music so much I went on a search for a KISS LE for the extra Bling Red armor full added 16 RGB inserts .Drop targets. Choreography of the GI lighting effects . Love Gun Multi ball levitate feature so cool. And the Kiss LE Gene Toy physical pinball lock which holds 3 pinball versus the pro that uses a virtual lock and spits the pinball out every time you shot Gene head . I found the Pro Gene toy not as good as the KISS LE for cheap drains . 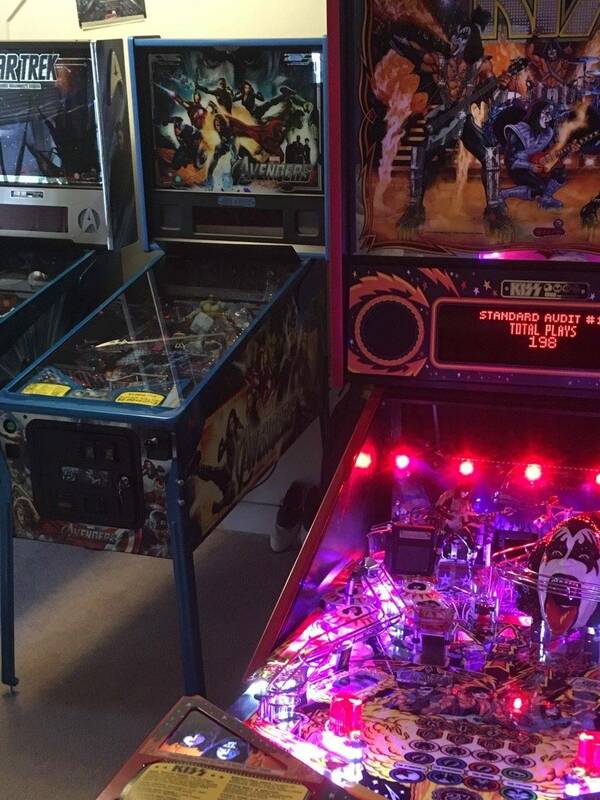 I vote KISS Limited Edition it is a buyers market and it is one of my favorite pinball ever . Reality They are both very desirable pinball machines . Good luck . One thing that kind of bothers me about every A vs. B thread is that a lot of people respond C, D, E, or Z. VERY different games. Personally, I don't really like Kiss and wouldn't spend the $ on it. Fathom is a classic game but it's too expensive. People come from halfway across the world to play my Stars. And Getaway is a local favorite. But out of the two in the poll, remember you are the one that will have to look at it every day, and that's the main reason people pay big bucks for Fathom. Honestly I never played a Kiss and although it looks cool I would go Fathom. From my standpoint I would try and land a Fathom now before they become even more difficult to find then they are already. It’s a great classic game and I’m sure you can find a Kiss down the road.